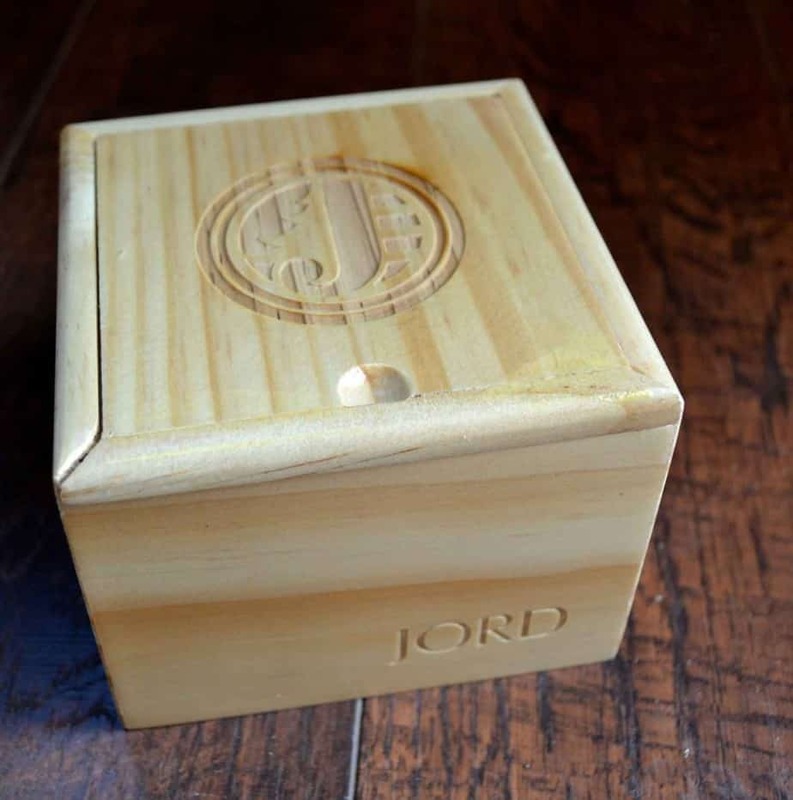 A few weeks ago I was asked to review a wood watch from JORD. 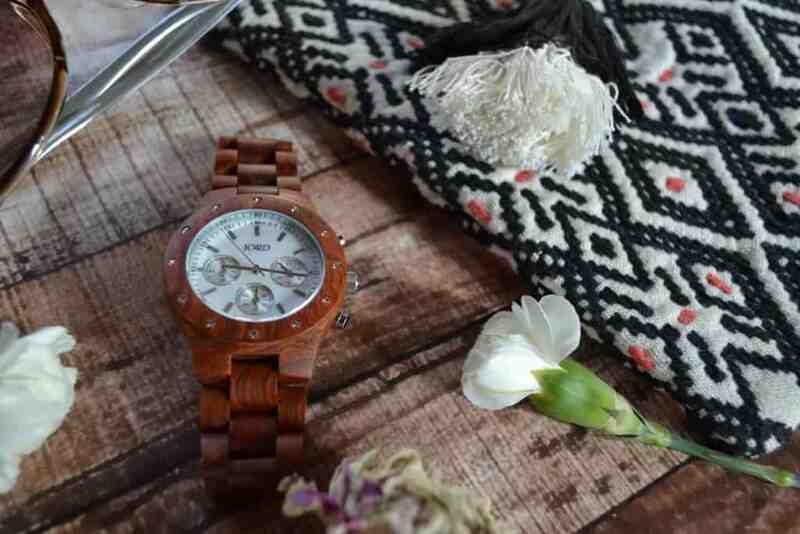 I was so excited because I had secretly been coveting these beautiful wood watches on Instagram for months. I had such a hard time choosing which watch I wanted to review but in the end I chose the Sidney in Red Sandalwood and Mother of Pearl. I love watches and I really think they help set the tome for your outfit. I was so excited to see the Sidney in person. I was not disappointed! My watch arrived in the mail a few days later and from the moment I opened the package I was smitten. There in the package was this beautiful carved wood box and when I slid back the cover, there was my beautiful watch shining on a fabric pillow. When ordering my watch I had to provide my wrist size using the easy instructions from JORD. I was a little nervous that my watch would not fit but it was perfect. I even saved money on going to a jeweler to have my watched sized. Included in the box were a few extra links incase I needed them. What a great addition to be included in the box. 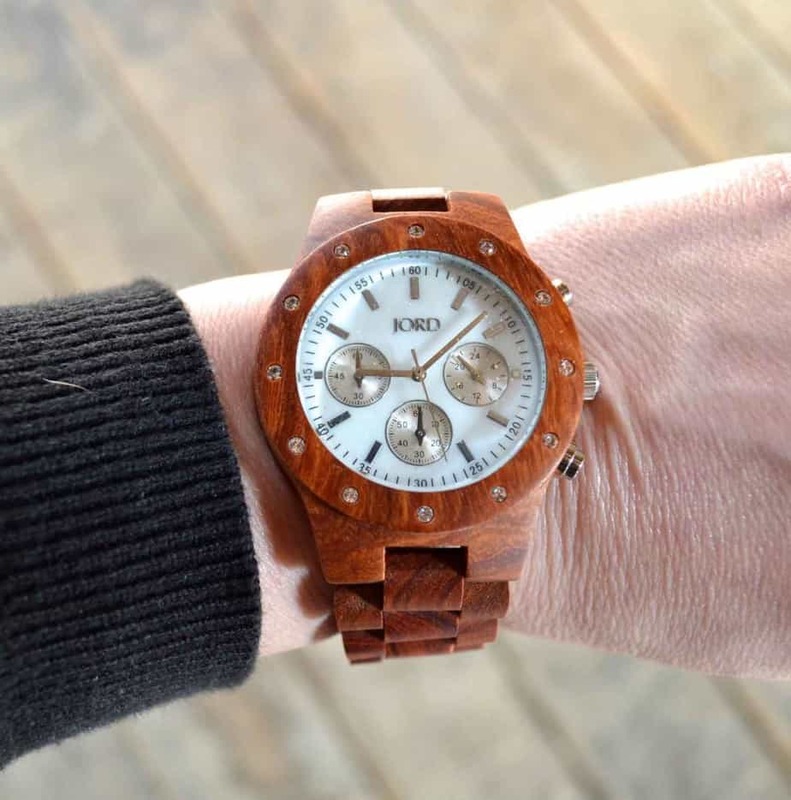 I was so impressed by the quality and the attention to detail to my JORD wood watch. 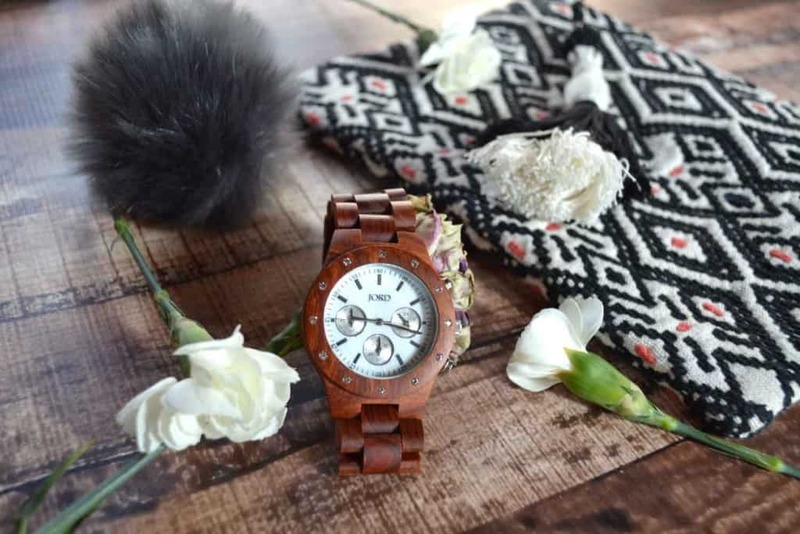 The natural wood grain texture was stunning and as an art teacher I can appreciate the time that went into designing these watches so that not only are they hip and trendy but they are beautiful as well. The SIDNEY series that I choose for my watch comes in a variety of woods but I chose the Red Sandalwood and Mother of Pearl finish. I love the red hues in the wood and I feel that the Mother of Pearl face gives it an elegant and chic look. This is a stunning watch and I absolutely love it and will cherish it for many years to come. 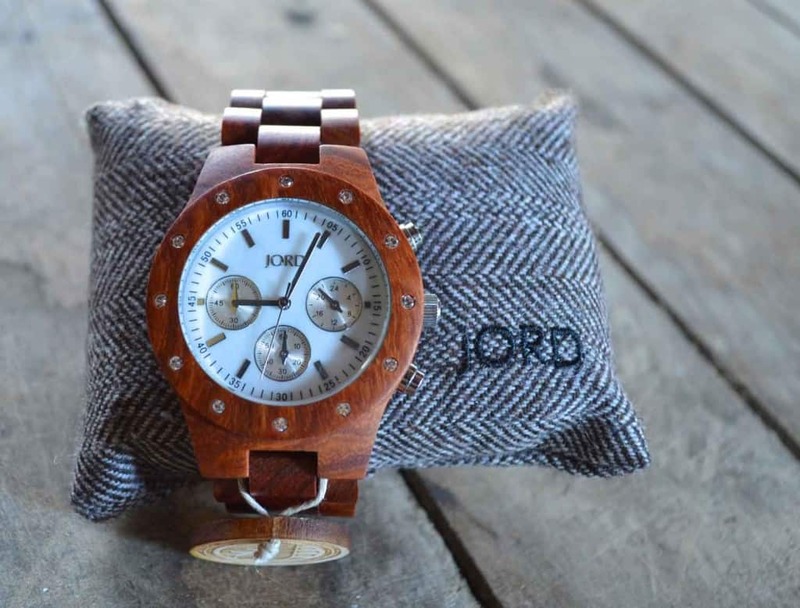 JORD has many different styles and woods to choose from so there is something for everyone. They range in price, but the quality, design and unique accessory is really what you are paying for and believe me it is worth the price. These watches make excellent gifts from birthday to graduation or even anniversary gifts. 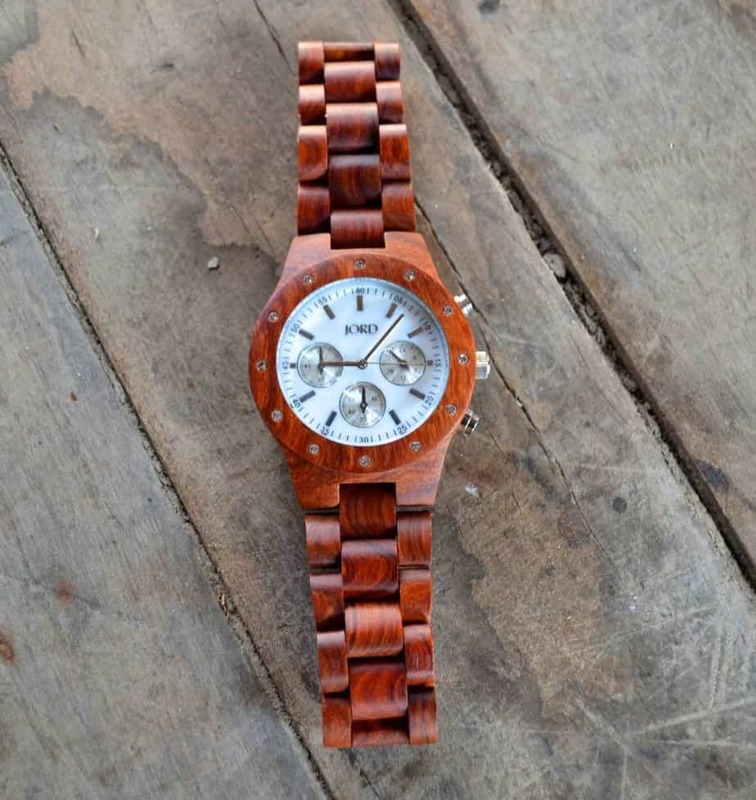 I bet whoever the recipient is on your gift list would love to have one of these wood watches. This is a beautiful gift from the moment the box is received. 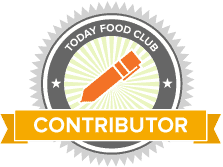 And with free shipping in the USA, you will not be disappointed.